Figures and data have turn out to be the main tool for investors to achieve good performance, but a set of data on its own is not valuable for investors to make decisions as they need detail and prompt analysis on them. Data analytics is the actual decision point for investors. T-Report is a complete and detail report with transparent and relevant analysis about thousands of financial products so the decision-making process, regardless of the situation, is the best for the investment portfolio. TechRules (www.techrules.com), leading tech company that offers modular and holistic wealth management solution, has reached a production of 100,000 daily T-Reports. This is a very important achievement for TechRules, as it was one of the first products, launched more than 20 years ago and getting more than 700,000 monthly clicks from some of the financial firms that are using this service making it a key tool with their end clients. T-Report is a relevant, high quality and detail report about any financial product, the reports include historical and up to date information to help investors and wealth managers to take a decision on any asset. Also, a unique scoring system was developed by TechRules to evaluate the assets. At the beginning of the T-Report you could find the most relevant figures of the asset, such as price and its evolution in the previous years, volume, risk assessment taking in consideration the most common indicators like volatility, liquidity of the asset and the global score. 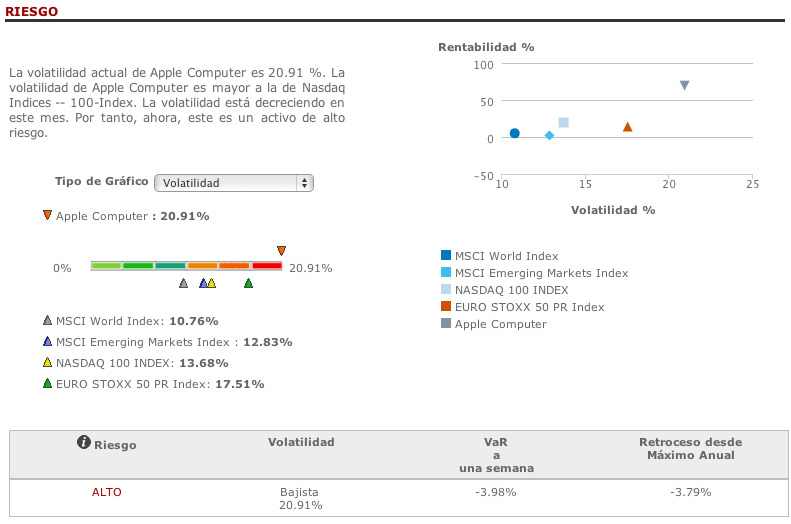 Then, historical performance of the volatility. And although is true that past performance won’t necessarily translate into future performance, they give relevant information to take into consideration for a specific strategy. The system includes a mathematical and statistical model based on the historical data and phase cycle to help you select or wait to include an asset that has the strength and potential to grow. Each T-Report then compares the value’s results with the major indices of references. It also gives key performance indicators as Alpha and Beta.